1400's. Representing the triumph of good over evil. 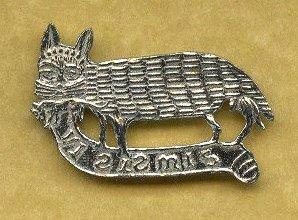 The latin motto "Vi Sis Mis" translates to "I have the mouse". Length 4.7cm.